We are looking for qualified and experienced personnel in areas of Marketing, Sales, Software Programming, Document Management and Printing Technology. Please post your resumes at info@hitechprint.com with the subject line ‘Job Opportunities’. We shall get back to you. 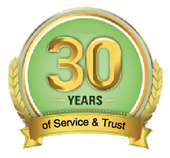 Hitech Print Systems Limited Head Office at Hyderabad is a well established Security Printing Company with over 27 years of existence. The Factory is located at Pedaavutapalli, near Vijayawada. Hitech believes people is power and gives opportunity to people to join, grow with us. We are looking for young, enthusiastic, innovative and smart candidates for the following job openings. Qualification â€“ Diploma in Printing Technology. Location â€“ For our plant near Vijayawada. Position â€“ To create total solutions to the customer needs. Should be fluent in English and know more than 3 languages, willing to travel and be placed at any major Cities.